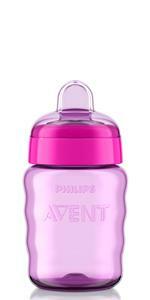 Toddlers can learn to drink from a cup, just like grownups, with the Philips Avent My Natural Drinking Cup. 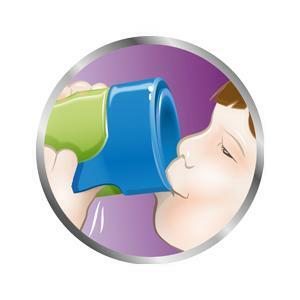 This innovative cup features a unique, lip-activated valve that allows your toddler to drink from 360-degrees, all around the rim. 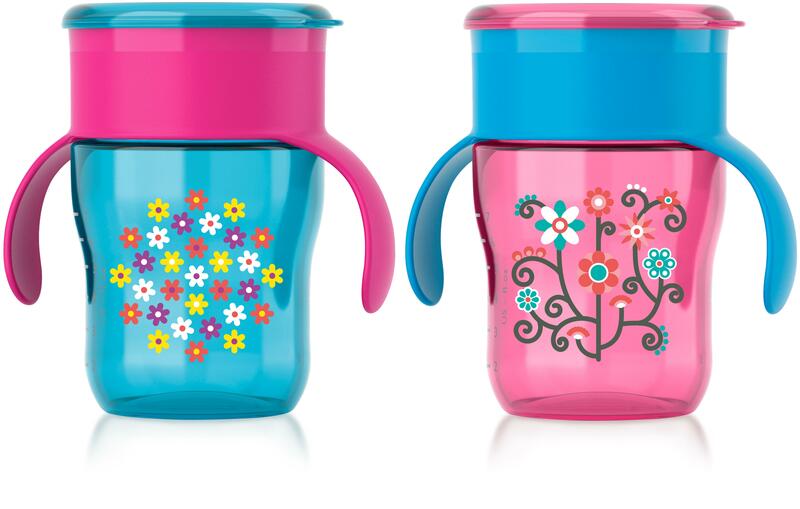 The cup includes easy-grip handles to help your toddler grasp the cup, as well as a snap-on lid to prevent leaks and keep the drinking surface clean between uses. My Natural Drinking Cup holds up to 9 fluid ounces, is dishwasher-safe, and is BPA-free. 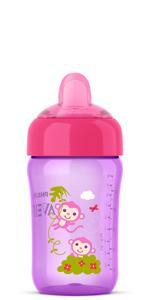 Ideal for toddlers ages 12 months and older, this two-pack includes one pink cup and one blue cup. 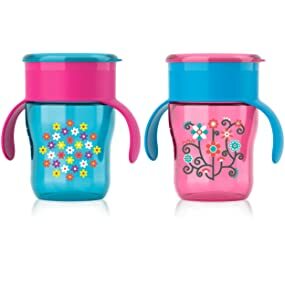 Toddlers use the My Natural Drinking Cup just like any adult cup. 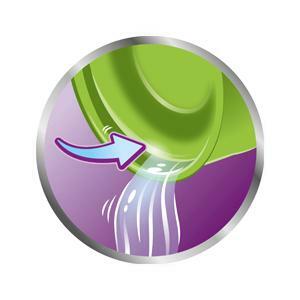 This cup features a spill-proof, fast-flow valve that is lip-activated so liquid will only flow when the toddler presses his or her lip against the rim. No spouts or straws required. 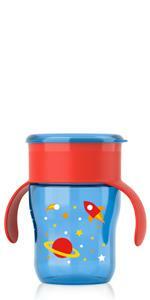 This cup supports your toddler's transition to grown-up drinking, but without the mess. 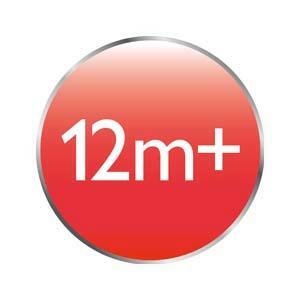 The translucent cup allows you to easily see the contents and amount of fluid in the cup. 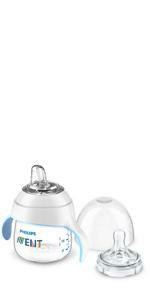 Designed by Philips Avent experts, the 360-degree valve is lip activated, so toddlers can drink effortlessly. 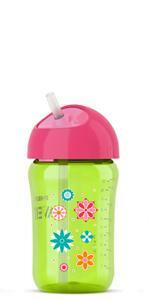 Liquids flow freely while your toddler drinks, but stops when not in use. 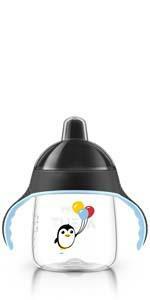 Easy-grip handles help toddlers hold the cup while drinking independently. 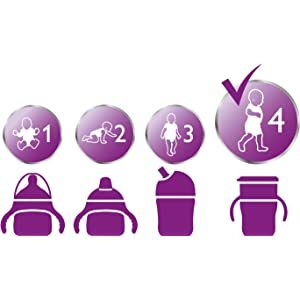 You can rest assured knowing that the My Natural Drinking Cup is a safe choice for your child. 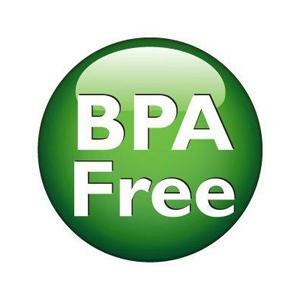 All components are made from BPA-free materials.